Three standout players signed Thursday to play next year for the University of Texas women's golf team (photo courtesy of texassports.com). 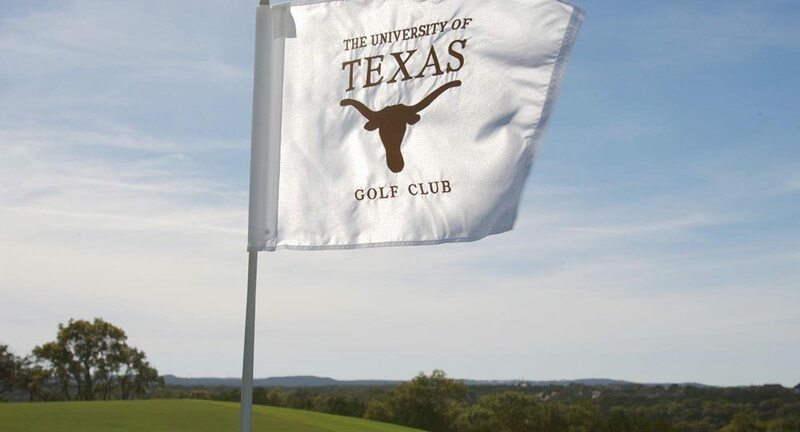 AUSTIN, Texas — Texas women’s golf head coach Ryan Murphy announced Thursday the signing of three recruits, each of whom could have a chance to make an immediate impact on the team. The three players who signed with the Longhorns are Emilie Hoffman of Folsom, Calif., Dominique Galloway of Rio Rancho, N.M., and Maren Cipolla of Lewiston, N.Y.
Hoffman is the No. 30 player in the American Junior Golf Association (AJGA) Polo Golf Rankings, No. 10 in the 2016 Grad Class and No. 35 in the GolfWeek rankings. She earned 2015 AJGA Honorable Mention All-America honors after winning the 2015 AJGA Bishops Gate Academy Junior @ Serrano, posting runner-up finishes in three straight AJGA events in June 2015 and qualifying for the 2015 USGA Women’s Amateur. She earned medalist honors at the 2015 USGA Women’s Amateur Qualifier, was named to the 2051 Northern California Junior Tour Challenge Cup Team and posted six top-three finishes, including three victories, two runner-up finishes and one third-place finish in 2015 Northern California Junior Tour competition. "Emilee Hoffman has had a stellar junior career with numerous victories," Murphy said. "Her last calendar year of golf has been among the best in the United States. She won a national event this summer and also played in the U.S. Women's Amateur." At Vista Del Lago High School, Hoffman was named 2014 and 2015 Sacramento All-City Team High School Female Golfer of the Year after leading her team to back-to-back Capital Athletic League Championships and back-to-back Section Championships. She was named Capital Athletic League Most Valuable Player in 2014 and 2015, Sierra Valley Conference MVP Girls Golf in 2012 and 2013 and finished her high school career with a 34.1 scoring average. In Galloway, the Longhorns have landed a three-time New Mexico State champion and a three-time metro champion. "I'm very happy to have Dominique Galloway joining us here at Texas," Murphy said. "She has had a terrific junior career, having won three-straight 6A State Championships in New Mexico. She has also played in eight USGA events and one LPGA tour event this past spring. She has played virtually everywhere across the country and those experiences have helped develop her game." Galloway won the New Mexico West Texas Women's Amateur and earned runner-up honors at the North South Junior Amateur and the Big I Trusted Choice. She participated in the USGA Women's Public Links Championship, including a semifinal finish in 2014. She participated in the USGA Girls Junior Championship three times and the USGA Women's State Team Championship, finishing in the top-10 two times. She competed in over 150 additional national tournaments. Cipolla averaged 73.4 in three national tournaments in 2015. She was the runner-up at the FCWT, PGA West, seventh at the Women’s Porter Cup and eighth place at the FCWT Tour Championship. "Maren Cipolla has had some terrific rounds of golf in her junior career, including a 67 this past summer in the Women's Porter Cup," Murphy said. "She also won the girls state championship this past summer in New York and notched a top-10 (finish) at the AJGA Jordan Spieth." She was the 16-and-under 2014 New York State Junior Champion in 2014 and the 15-and-under New York State Junior Champion in 2012. She also was the Nichols School High School League Champion three times.